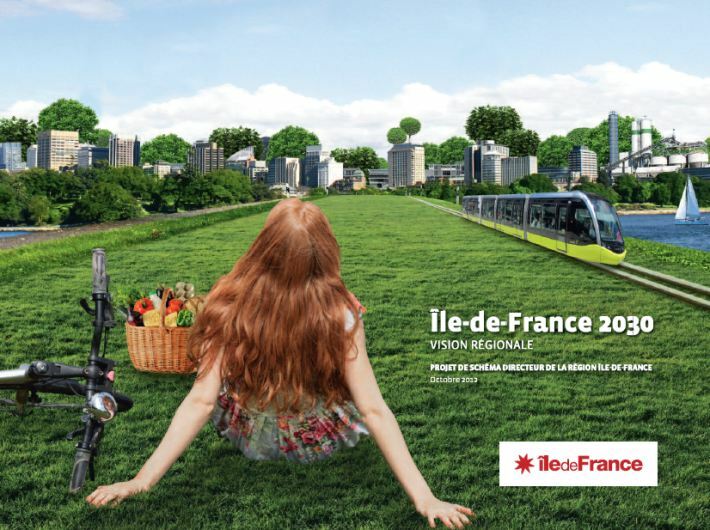 The Paris region, or Île-de-France in French, is one of the areas in the world that can show a long regional planning tradition. This makes it a perfect example of the lights and shadows of the planning instruments, be it from a short term or a long term perspective. In 1908 the French parliament receives a bill from André Siegfried, which was never enacted. 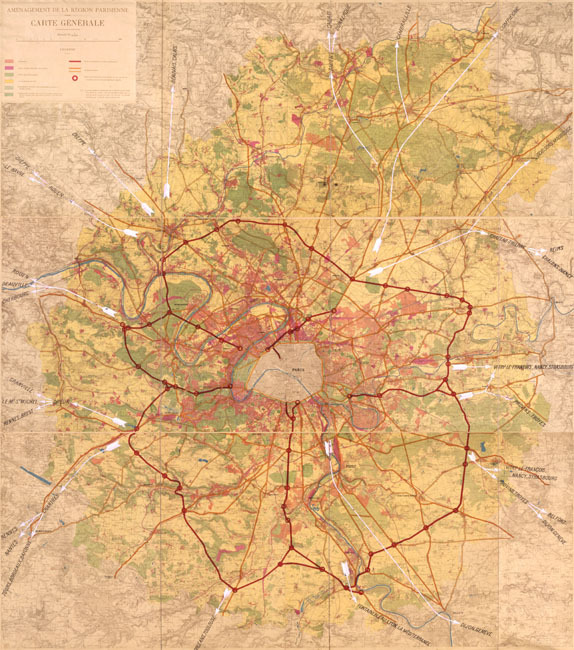 In 1919 a competition is held to define the urban extension of Paris, but the results were never to be realized as they were closer to an architectural composition than to a real, viable urban planning proposal. The Sarraut Act (15 march 1928), aimed at irregular subdivisions (largely a result of the refugee settlements around France in the first world war) is an approach to a metropolitan vision. On 24 march 1928 is created the Comité Supérieur pour l’Aménagement et Organisation de la Région de Paris (CSAORP), a study institute ; its role was to define an « exception regime » for a region « gangrened by the cancer of slums”, giving the responsibility to deliver a plan to urbanist Henry Prost and Raoul Dautry, the General Director of the Railways. After a study of the problem, Prost proposes to organize the territory with freeways and national roads, and proposes two zones. The first would integrate the areas that could be reached by train from Paris in less than half an hour, concentrating the most problematic slums and needing an urgent solution; the second zone, external to the first, would be subject to a ban for industrial settlement as to try to control the arrival of new population. The plan introduced a protected status for woodlands. On 14 may 1932 the Law on the Organization of the Parisian Region is enacted, encompassing an area defined according to the half an hour proposal of Henri Prost. In 1934 the Prost Plan is technically finished, and it is enacted in 1939, so it is never really applied as the second world war begins. Even if the 1929 New York Regional Plan is often presented as the first modern regional plan, it is clear that it was a proposition from a private association without a legal status, while the 1939 Paris Plan was a legal document. In 1960, Under President Charles de Gaulle, the Institut d’Aménagement et d’Urbanisme de la Région Parisienne (IAURP, in 2012 IAU) is created, under the direction of Paul Delouvrier. 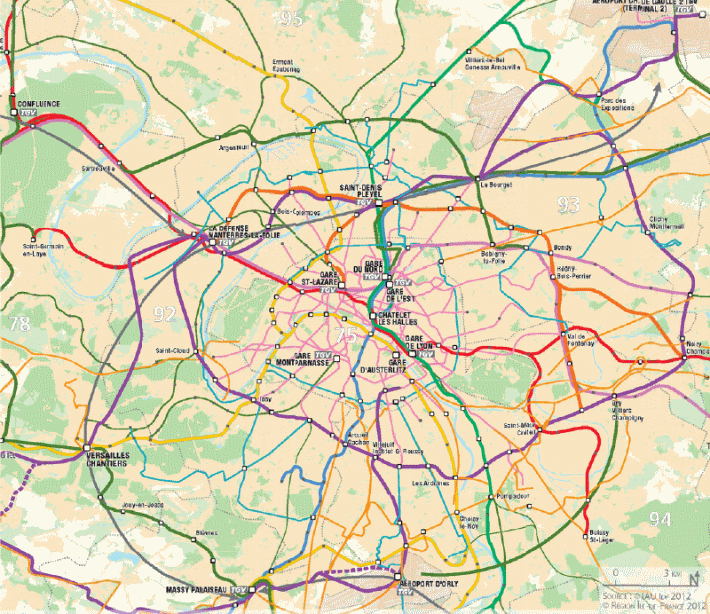 The Schema Directeur de la Region Parisienne is enacted in 1965 as the first truly operational plan, defining today’s structural features of the region as new towns, mobility systems and public facilities. In 1994 a revision of the plan is approved, with less innovation as much due to the maturity of the institute and the fact that some innovations were already under way, as to a less benign economic climate. 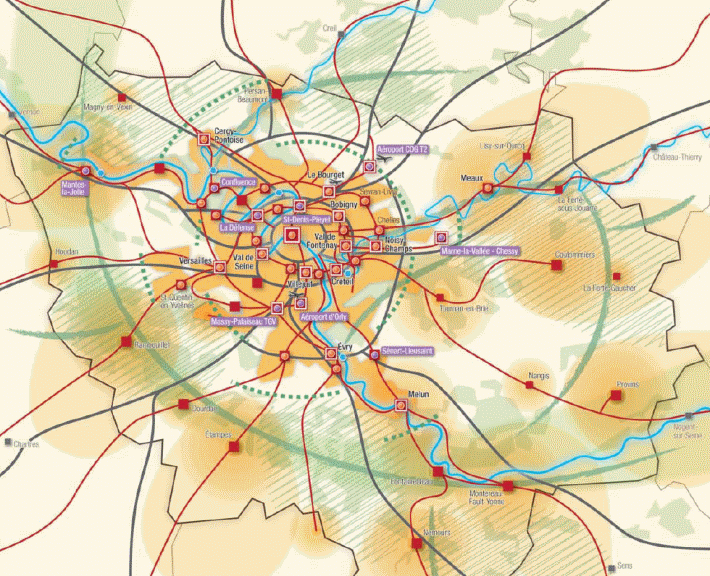 The 95-115 act, from 4 February 1995, gives to the Paris region the regional planning powers; it is no longer a state matter, but one closer to the citizens. The decision to revise the Schéma Directeur is taken by the Regional Council in 2004, and the works are parallel to innovations in the state policies regarding sustainable development and the 2010-597 act (3 June 2010), on the Grand Paris, an initiative of President Nicolas Sarkozy. The State Council decides that the revision approved by the Regional Council in 2008 must be subject to a new public participation procedure to take into account these questions (and some talk discretely on how inconvenient for the project was the fact that the regional and national governments are from opposed political parties…). So, in October 2012 a new document is presented taking all that into account. 70.000 new housing units are to be built each year, and existing units are to be improved, as a way to tackle a housing crisis (some voices say that there is no real need for new dwellings, but a problem of mismatch between offer and demand). 28.000 new employments should be created each year, and mixed use should help there. Ensuring good access to public facilities, a better transportation system less dependent on automobile (with significant improvements on public transport between suburbs and more multimodal use of relevant roads) and improvements on urban spaces and natural surroundings are also proposed. A more dynamic economy, the multiplying effects of an efficient transportation system and a sustainable management of natural areas are the proposals. Not much is said about the fragmented local administration scene, probably as a separate work is done on that. 14 project territories are identified, starting with Paris as the center of the metropolitan area. On the whole, it is an interesting document, with many common points with the problems in many metropolitan areas around the world.